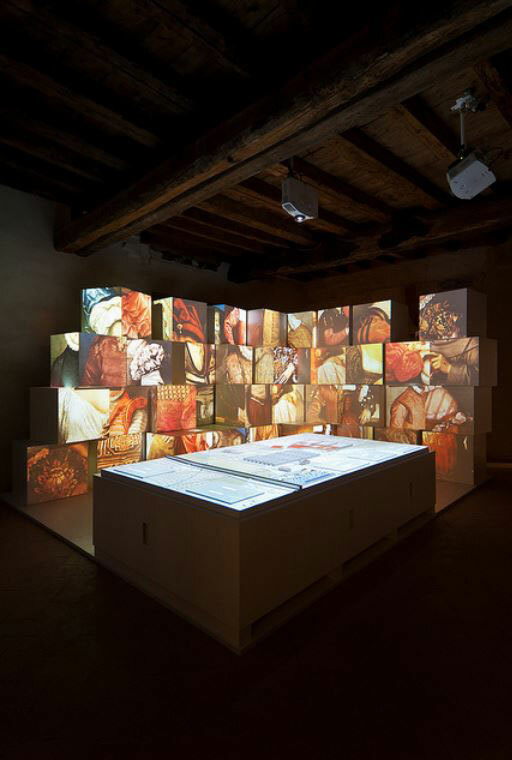 The Museo Storico dell’Età Veneta (Historical Museum of the Venetian Age) is a museum based on the interactive storytelling paradigm. 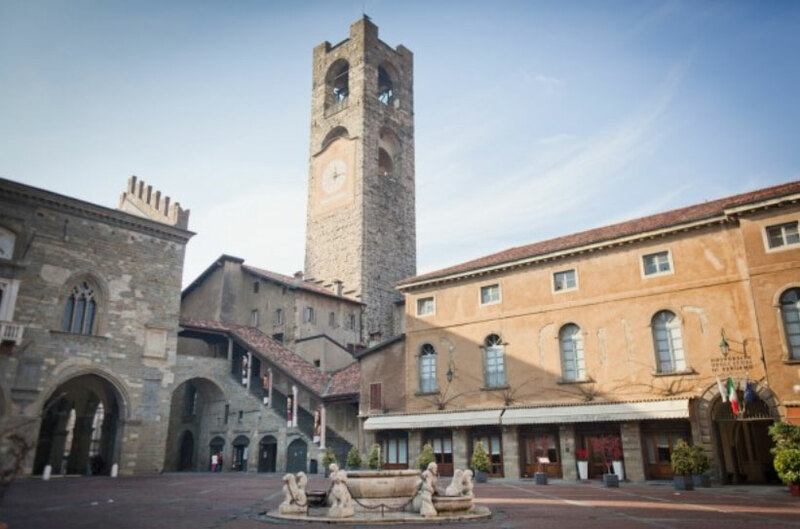 All the exhibits portrait an aspect of the town of Bergamo as it was during XVI century. Design, development and set up of many videoinstallation throughout the museum. Done with n03 for Comune di Bergamo. An augmented reality interactive diorama of the town of Bergamo as it was in the XVI century. 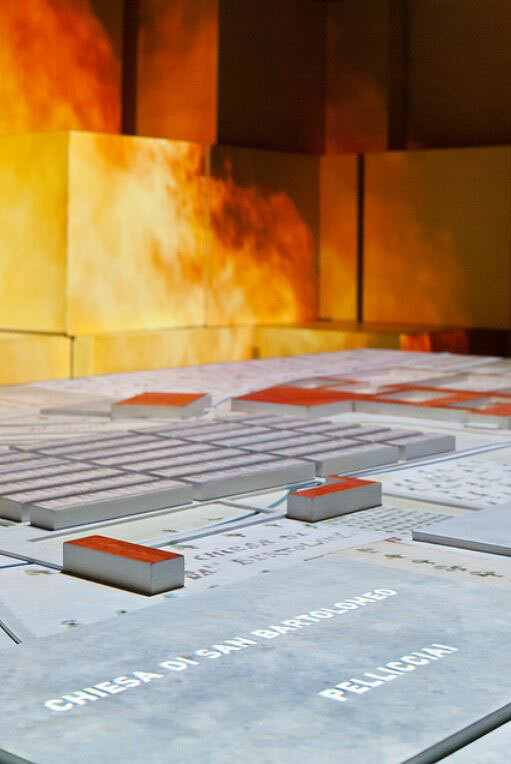 By touching a label on a legend, a path unrolls and highlights the corresponding area on the diorama. 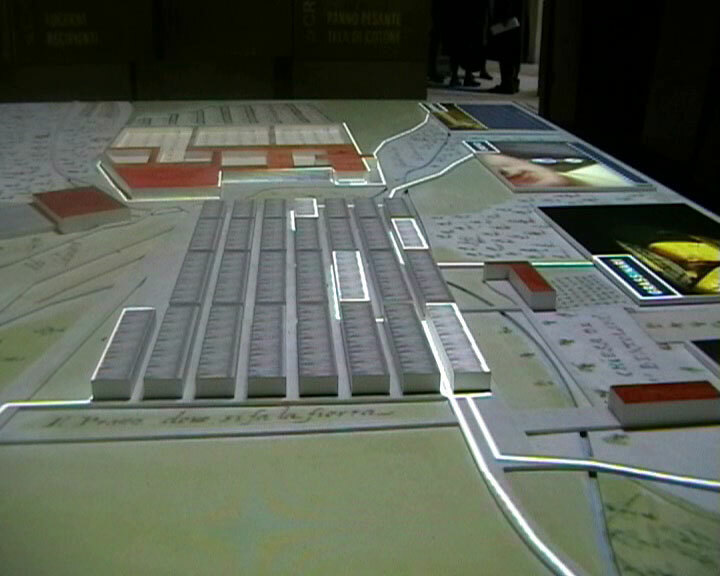 A short video clip tells the story of that area of the town. Up to six people can interact together independently. 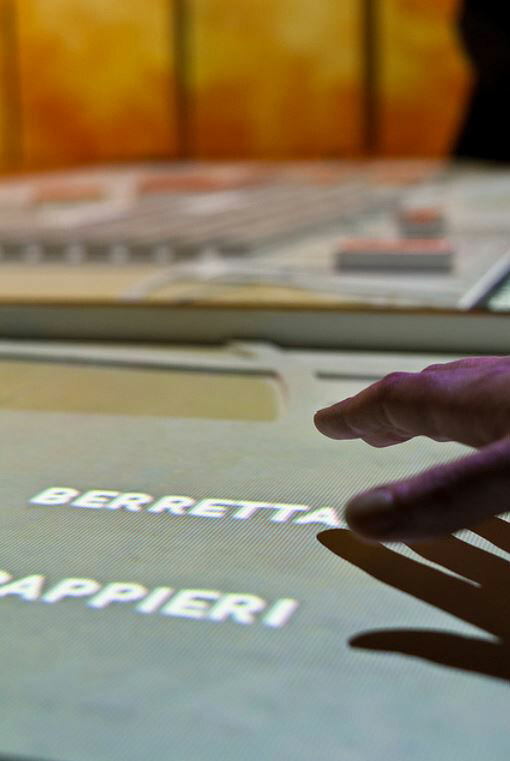 The touch interaction is handled using capacitive sensors hidden under the table. 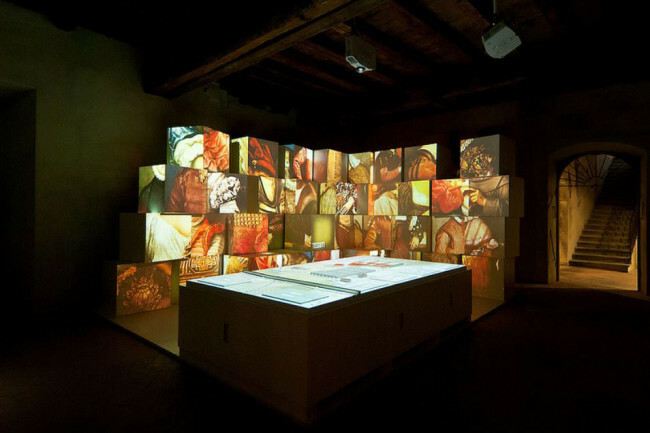 On the back of the diorama, a video mapping from Stefano Rino Tagliafierro. 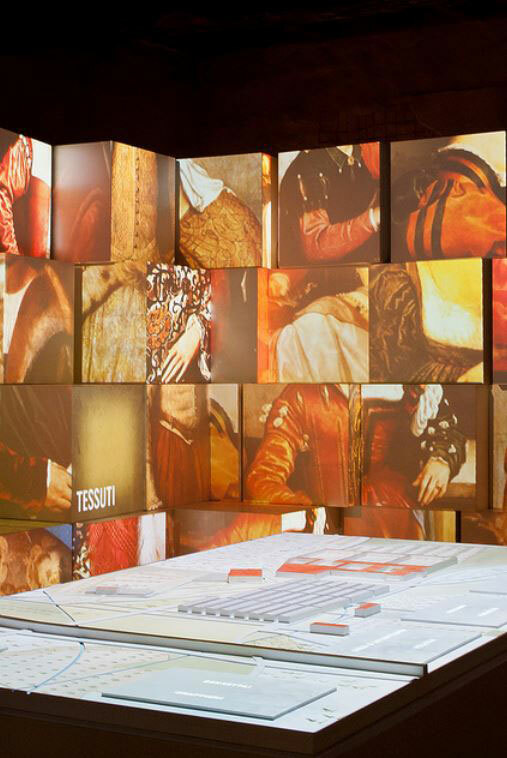 The installation is about the “pharmaceutical science” of XVI century and is made of six interactive drawers the visitor can handle. At the beginning of the pulling out, the drawer seems perfectly normal and empty, only to trigger a moment later a video projection that synchs with the drawer’s motion. The video content beautifully tells the story of one of the many ancient remedies used by the Apotecary. A linear sensor was connected to each drawer, to monitor his position and to move/fade accordingly the matching video clip. 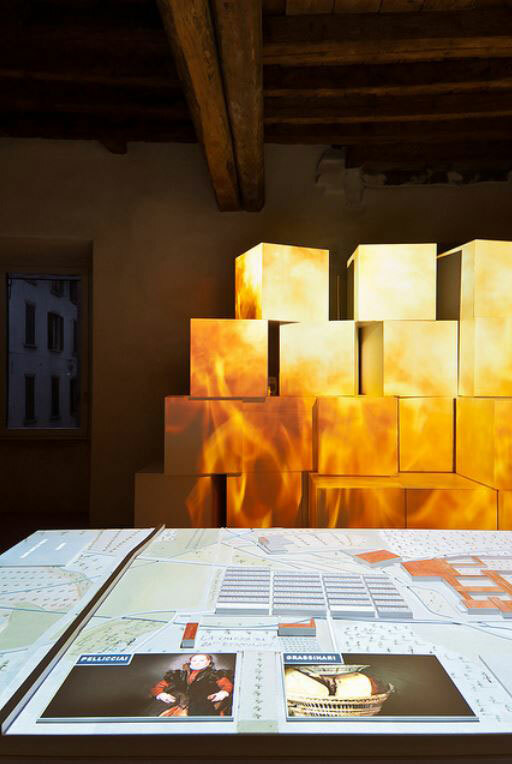 The installation is a big video-mapping on walls of wooden crates. The crates aren’t inert screen, they act along the storytelling opening and closing at given points, like magic coffers. When a crate opens, light radiates from inside, and a line comes out to form a graphical element that leads to a new topic. 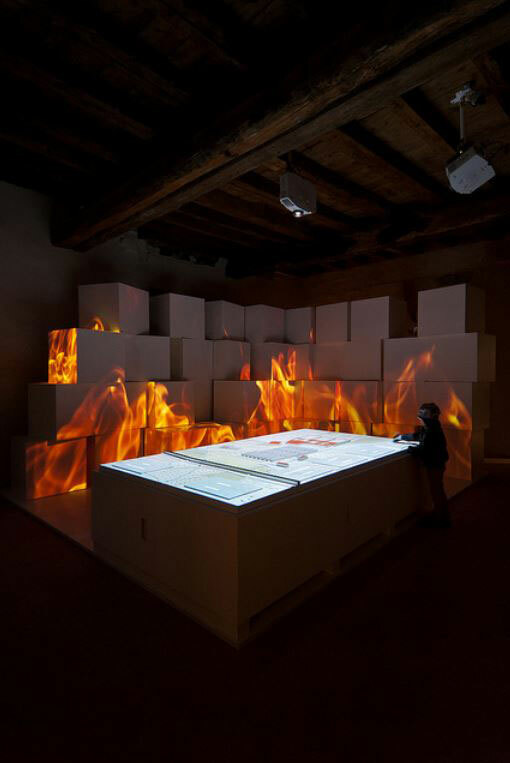 The synchronization of the video clips with light and mechanical events was with OrfWare’s Piccolo Popolo Architecture.